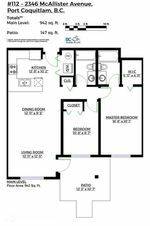 This two bedroom, two bathroom well cared for unit is located at "The Maples." 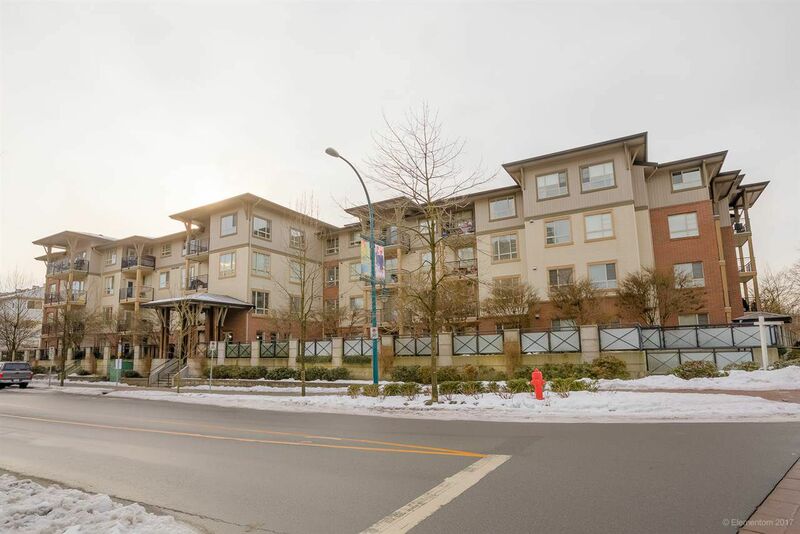 Bus stop right outside the building front door and steps away from restaurants, shopping and Coquitlam River trails. Up your private staircase to your above ground private patio and separate entry. Perfect for entertaining, easy access for guests and walking your dog. Inside you have engineered hardwood throughout, extra high ceilings and open concept living. Kitchen with granite countertops and s/s appliance. Down the hall is your two good size bdrms and two full baths. Master suite easily can fit a king size bdrm plus walk in closet. One dog or two cats allowed, no size restriction. Rentals allowed. This unit comes with underground parking and storage locker. Pleasure to show!